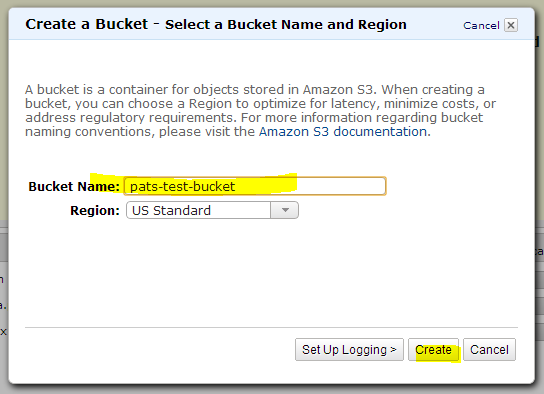 I have a simple need to be able to read/write data at my S3 from an EC2 instance. 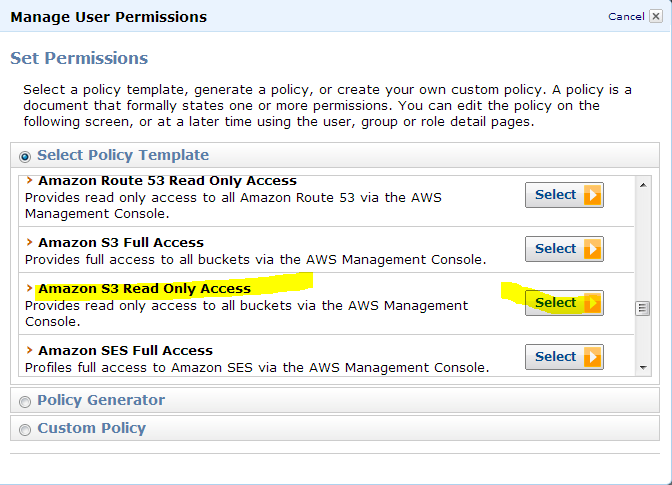 You would think there would be a nice simple way of doing that, like allowing EC2 instances with a certain (ec2) security group have permissions to a bucket or a folder in a bucket of S3. But there is not, at least not from what I can see. The good news is there is a way to do this, but its more complex and it gives you a lot more tools than you could ask for. 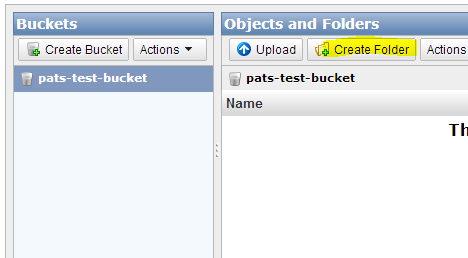 First I am going to log into S3 via the web console and make a new bucket and place a few folders and files in it. 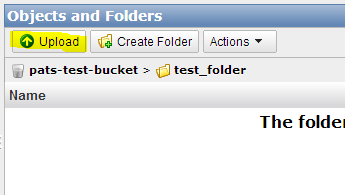 Open up the test_folder and click on Upload. 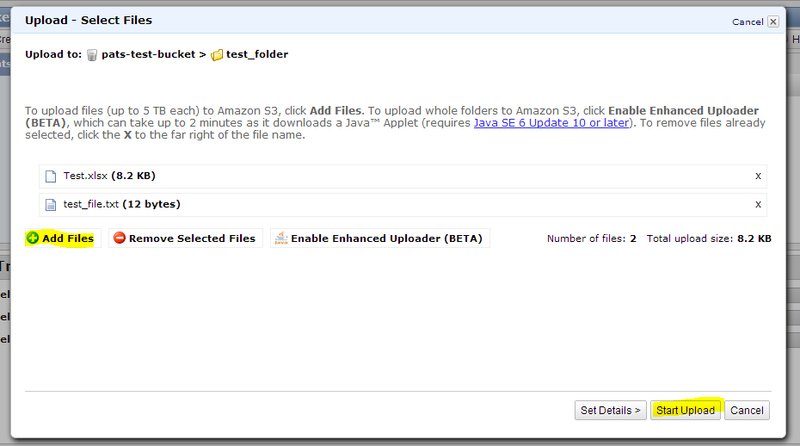 Upload a few files. 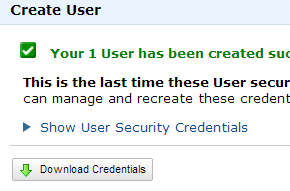 Get your main keys for your account. 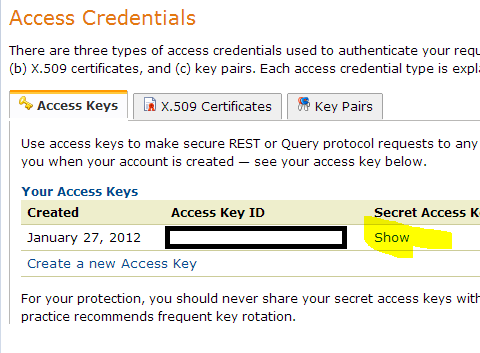 Go down to the Access Credentials and copy the Access Key ID, mine of course is blanked out for security. 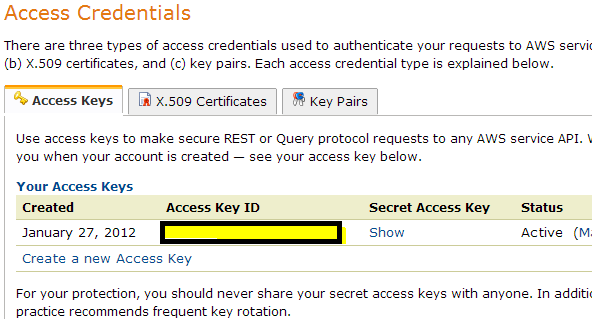 Copy the Secret Access Key, again I blanked mine out for security reason. If you do not have an Ubuntu 12.04 ec2 running, here is the command line to get one created. 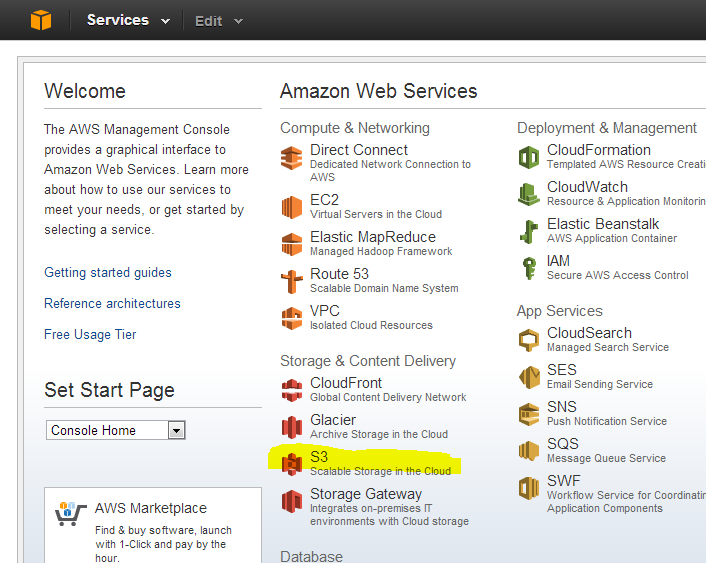 This assumes you have AWS command line tools set up on your system and have a keypair created. 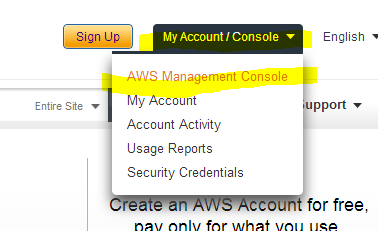 If not you can use the AWS web console. 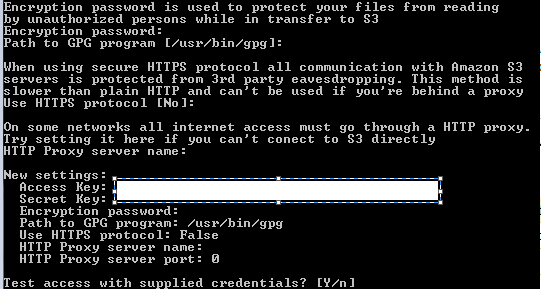 It will then ask for encryption password/GPG/HTTPS, etc just choose the defaults. 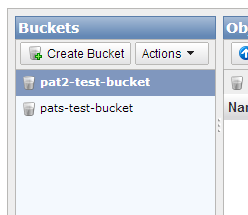 > s3cmd get --recursive s3://pats-test-bucket/ . 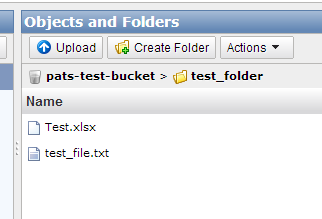 Here you can see the files have been downloaded. The big problem with this set up is the keys. 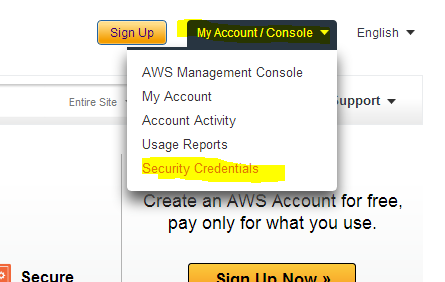 These keys, that were obtained on the Security Credentials page, have access to everything on AWS for your account. In the wrong hands these keys can wreak havoc. 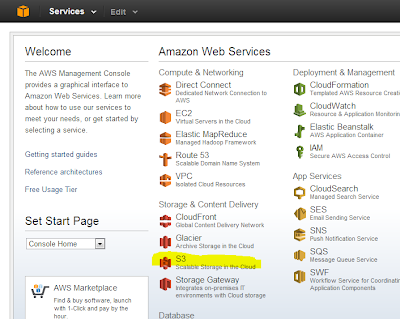 So I for one do not want them on my ec2 running instance. 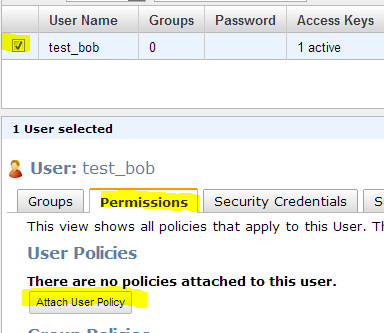 In this example I am going to create a user called test_bob and give that user special permissions that only allow him to read from a specific S3 bucket. 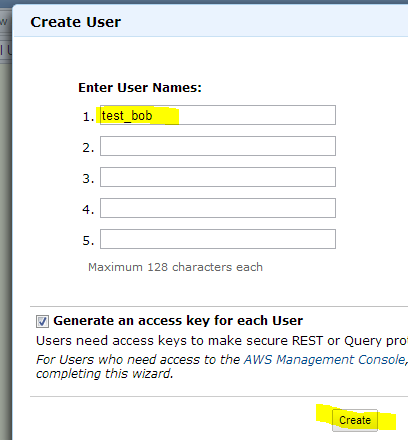 Enter the name test_bob and click create. This file will contain something like this. 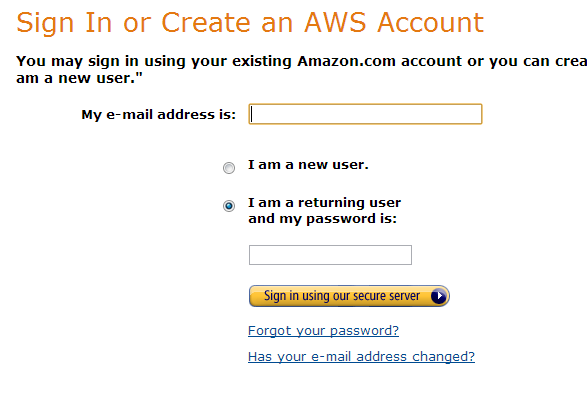 "User Name","Access Key Id","Secret Access Key"
Scroll down and select “Amazon S3 Read Only Access” and click on Select. 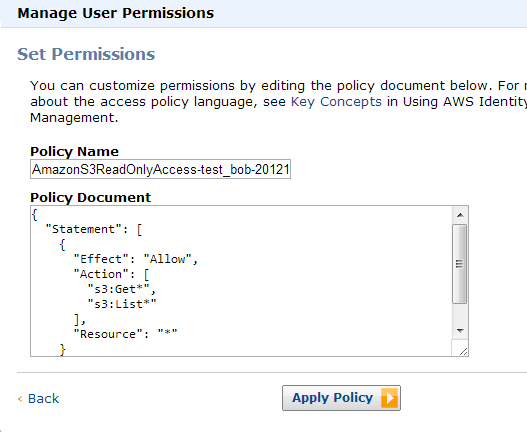 This policy will allow this user to get and list all document in all of your S3 buckets. 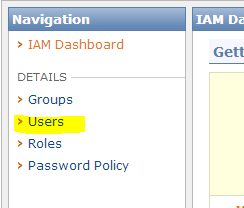 Lets keep it that way for now so we can confirm it when we limit it later. 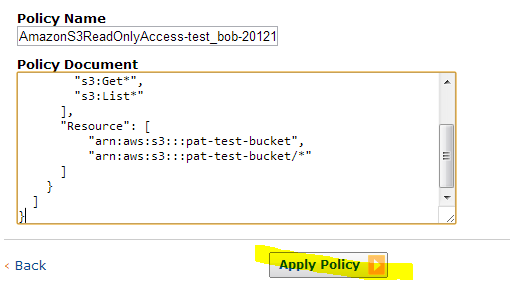 Go back to the ec2 instance and reconfigure s3cmd and use the keys for the test_bob user. The following command is denied since this user does not have write permission. 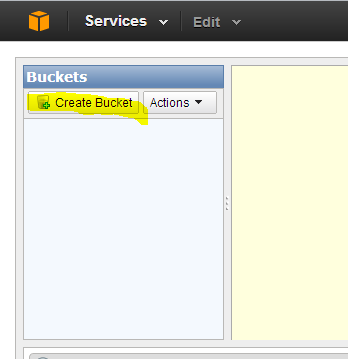 According to the website S3cmd needs s3:ListAllMyBuckets. Which though not ideal we have to do. And we can see the other bucket’s contents.